Even when a person is current with payments on debt owed, he may still be concerned about the possibility of his heirs or beneficiaries inheriting his debt or not having an inheritance because the creditors take any available property after the debtor’s death. Not many debts are “inherited” by others after a debtor passes away, and there are steps the debtor can take to ensure that some property is protected from creditors. 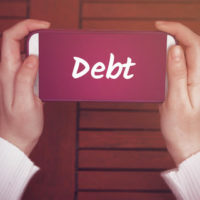 Generally, debt that is owed by one person (personal debt) cannot be transferred to another person who had no previous connection to the debt and who did not agree to be responsible for the debt. Mortgages and credit cards that have multiple co-signors mean that each person signing on the contract becomes personally responsible for the debt. In that instance, when one of the people die, the other co-signor is not really inheriting the debt because he was always responsible for the debt. There are some student loans that are similarly jointly owed, and before a person co-signs for student loans, he should ensure he understands the obligations. If a child inherits a home from his parents, and there is still a mortgage owed on the home, the child would have to pay off the mortgage in order to keep the home. If the home is worth less than the mortgage, the child can choose to sell the home or go through foreclosure in order to avoid having to make payments. Creditors can seek to have the money they are owed by a person who passes away paid back through the person’s estate. If the debt is valid and there is no defense or dispute to the debt, the creditor is entitled to receive payment from the estate. This means that any property that is to be passed on to heirs cannot be inherited until after the estate’s debts are settled. A person’s estate is usually made up of the property that is still legally owned by the decedent. After the creditors are paid, the heirs can inherit from what is left over in the estate. It is possible for a person to transfer property into an irrevocable trust as a way to pass that property on to his heirs. Once the property is transferred to a trust, the trust is considered the legal owner of the property. This means that the property is no longer in the decedent’s estate, and therefore cannot be reached by the creditors. Only property that the decedent owns outright and can legally transfer title can be put in a trust. Children are not responsible for paying off tax debt owed by a parent. If the debt cannot be paid off through the estate, it remains unpaid. To learn more about how your debt can affect your heirs and to make a comprehensive estate plan, contact a knowledgeable estate planning attorney at Meyer & Spencer, P.C., with offices in Pleasantville and Mahopac, New York, and serving Westchester and Putnam Counties.